Will Hong Kong remain Asia’s financial centre? Hong Kong has long been considered Asia’s financial centre. The internationalisation of renminbi is opening China to the rest of the world. Singapore is ambitious to become a more significant financial centre. Nicky Burridge considers Hong Kong’s position as the financial hub of Asia and wonders whether it will stay on top. The ease of doing business in the territory, as well as its status as the ‘gateway to China’ and the world’s largest offshore renminbi centre, makes it the obvious place for companies to locate their Asian headquarters. But Hong Kong’s crown may be in danger of slipping as China continues to internationalise the renminbi, while political unrest creates uncertainty and other regional financial centres develop apace. 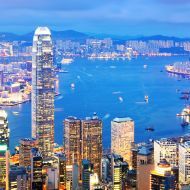 The benefits of doing business in Hong Kong are not difficult to find, ranging from the territory’s highly educated workforce to it being ranked as the world's freest economy by the US’s Heritage Foundation. Add to that Hong Kong’s open and competitive business environment, its sound regulatory framework, and its low corporate tax rate, and it is easy to see why so many companies choose the city for their global and regional headquarters. One of the potential threats to Hong Kong is the internationalisation of the renminbi. Hong Kong is Asia’s largest asset management centre, with a combined fund management business worth HK$17.393tn. It also had the highest level of IPOs in the world during the first six months of 2016, with HK$43.5 billion raised through the Hong Kong Stock Exchange. But perhaps most significantly of all, Hong Kong is the largest offshore renminbi business centre, handling nearly three-quarters of all RMB payments. But Singapore is snapping at Hong Kong’s heels as its government continues to focus on initiatives to attract businesses. The World Bank’s annual Ease of Doing Business Index has consistently placed Singapore ahead of Hong Kong. Singapore has also moved ahead of Hong Kong in the Global Financial Centres Index, produced by think-tank Z/Yen Group. Raymond Yeung, senior economist at Australia and New Zealand Banking Group, believes Shanghai could also become a potential regional rival to Hong Kong. He points out that the city has put a lot of effort into internationalising itself, while it is also benefiting from the creation of the Shanghai Free Trade Zone. The pilot zone is being used as a testing ground for a number of economic and social reforms, including unlimited foreign currency exchange for overseas businesses located there. But while other centres may be closing the gap with Hong Kong, Yeandle does not believe they will threaten it. Meanwhile, the internationalisation of the renminbi and the gradual opening up of China’s economy to the rest of the world could lessen Hong Kong’s importance as the ‘gateway to China’. Yeandle says: “One of the potential threats to Hong Kong is the internationalisation of the renminbi. “At the moment Hong Kong is in such a strong position, partly because it is the natural offshore centre for mainland China. Although he added it was just one factor that affected the territory, rather than a “fatal flaw”. But Ho points out that despite the fact Hong Kong is no longer the only renminbi offshore centre in the world, it is still by far the biggest. But Hong Kong faces significant political uncertainty, while the process for how its Chief Executive will be selected in March remains deeply controversial. Concerns over the process triggered the Umbrella Movement in September 2014, with protestors occupying strategic locations in Hong Kong for several weeks. Yeandle says: “There are concerns out there and it is impacting on Hong Kong’s popularity. The one thing that financial professionals really hate is uncertainty. Nor does he think Hong Kong is in danger of losing its status as the financial hub of Asia any time soon. 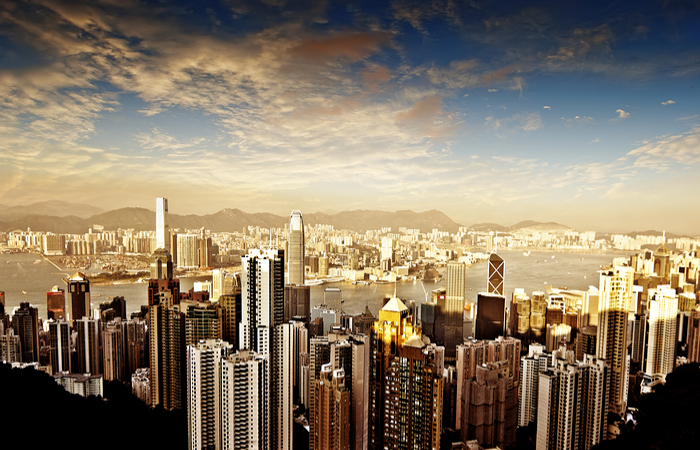 Do you think Hong Kong will remain as Asia's financial centre? Let us know in the comments below. Why is there a lack of women on Hong Kong boards?